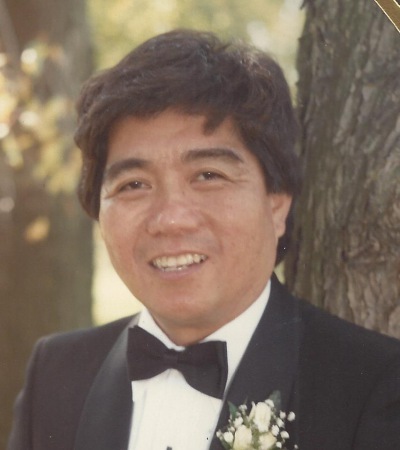 Lt. Col. Eustaquio V. Cabal Jr. MD, U.S. Air Force, "Steve", beloved husband of Deborah (nee Benedik). Brother of Blandino (deceased), Remy (deceased), Salve, William, Myrna, Norma, Tessie, Bernardo and Ramsy. Uncle and great uncle to many nieces and nephews. Father of Craig, Benjamin and Aaron. Board Certified OBGYN. Long time member of St. Ladislas Parish, Westlake and sang with the Caritas Choir. Mass of Christian Burial Saturday Nov. 3rd at 10:00am at St. Ladislas Parish, 2345 Bassett Road, Westlake. Friends and family may call from 4-8pm Friday at Jenkins Funeral Chapel, 2914 Dover Center Road, Westlake. Memorial may be made to St. Ladislas Parish for the Stain Glass Window Fund. Our Deepest Sympathy and Condolences To the whole family. Rest In Peace. Our prayers and thoughts are with you. Rest In Peace. Rest in Peace, Our thoughts and prayers are with you. My condolences, thoughts and prayers are with the family at this time.